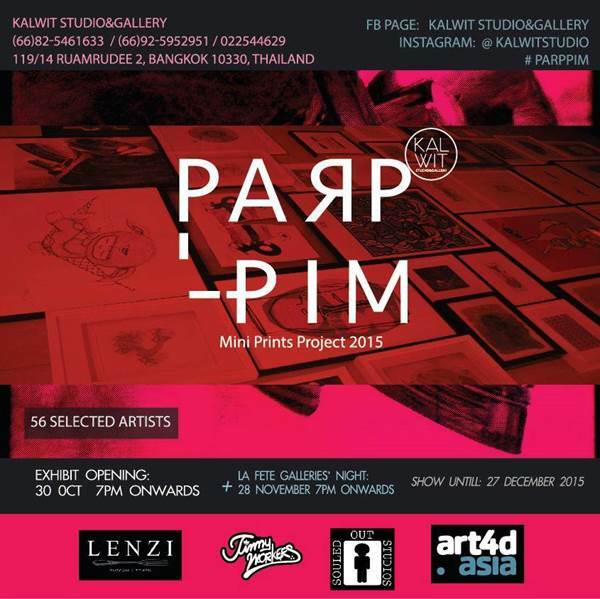 “PARP-PIM” Mini Prints Project 2015 gathers 56 artists from many parts of the world, and has over 100 pieces of artworks to show. Printmaking is an art that has various of techniques and challenges. Artists are displaying their imagination through the print, stamping emotions through ink on paper. In this exhibition, we realize the charm of printmaking, expressed though mini prints. Artists can create mini prints through a point of view, experience and individual techniques of artists from various places.